Rio de Janeiro is one of the cities that every year receive the world harp circuit. May of 2011, is the month where renowned harpists, from over 20 countries, are playing in the spetaculars scenarios of the city. The first concert was at "Forte de Copacabana" with harp and instrumental music. Consolidated at Rio's cultural agenda, the Rio Harp Festival reaches its sixth edition this year, promoting its usual trip around the sounds of the harp, one of the oldest and most beautiful musical instruments. 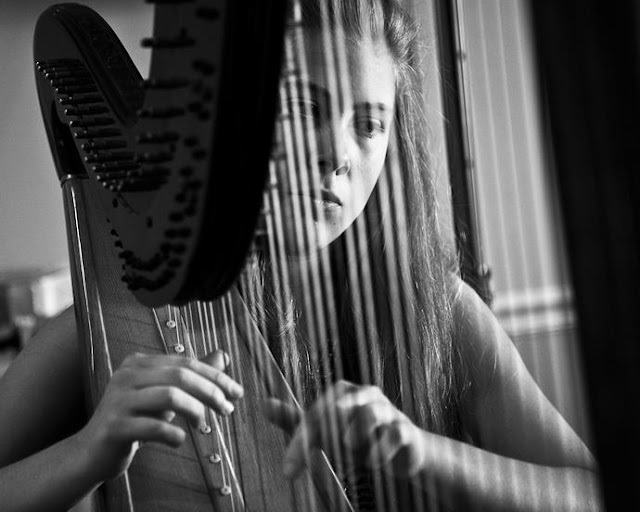 This year the big attraction is Claire Jones the Official Harpist to His Royal Highness The Prince of Wales. With 150 performances for Royalty including a performance at the Royal Wedding, for Prince William and Catherine Middleton. She will play here, at Pavão-Pavazinho favela next Sunday at 4pm the same concert performed at the Royal wedding. Carol McLaughlin, Mario Falcao, the young harpists Benjamin Creighton an English, 13 years old, and the Brazilian Lucena,12 years old, are also this year's great stars. All concerts are free and will be held at the most diverse and important venues in the city, such as Ilha Fiscal, Corcovado, Academia Brasileira de Letras , Real Gabinete Portugues de Leitura , Arquivo Nacional and at subway stations. The VI Rio Harp Festival, with its outstanding autumn's concerts, is part of the project Music in the Museum. The Festival goes until may 31st. Program: Patrick Hawes, John Parry, Mayaani, Tchaikovsky.